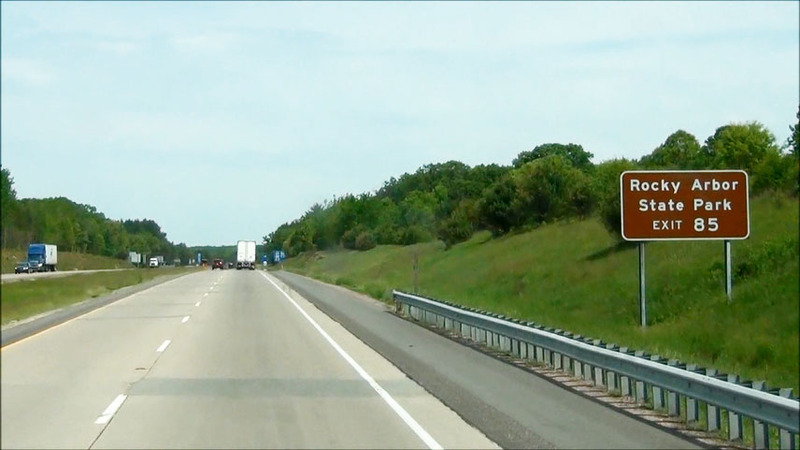 Speed limit sign as Interstate 90/Interstate 39 crosses into Wisconsin from Illinois. 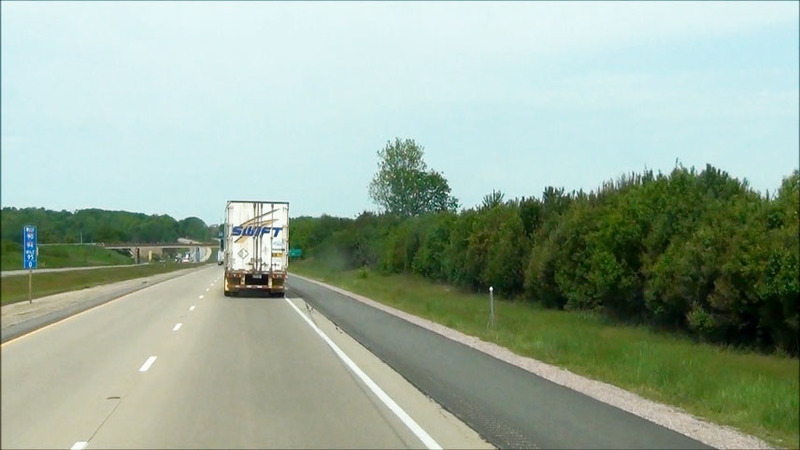 The speed limit on most open stretches of Interstate in Wisconsin is 65 mph. (Photo taken 5/2/12). 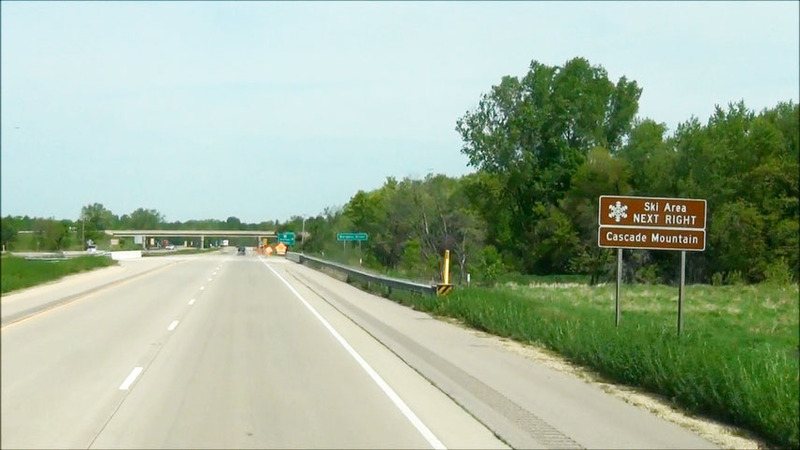 Interstate 90 West / Interstate 39 North at the Rest Area / Welcome Center located at mile marker 187. (Photo taken 5/2/12). Wisconsin welcome sign located just past the Welcome Center. (Photo taken 5/2/12). 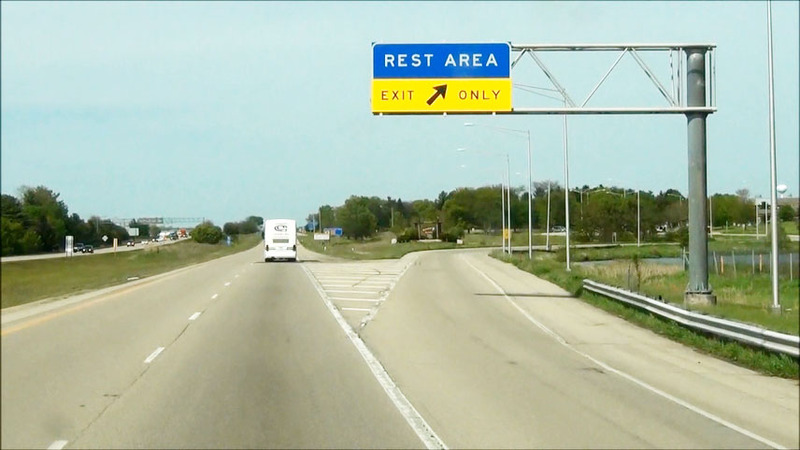 Interstate 90 West / Interstate 39 North approaching Exits 185B-A - 1 mile. (Photo taken 5/2/12). 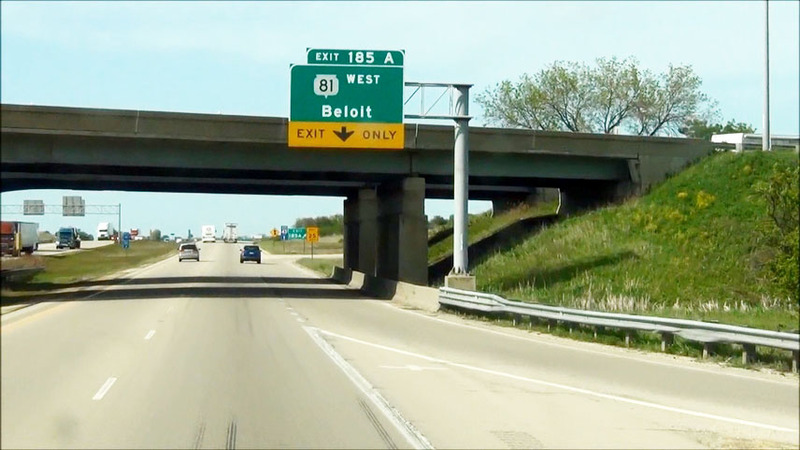 Take Exit 185A to Beloit College. (Photo taken 5/2/12). 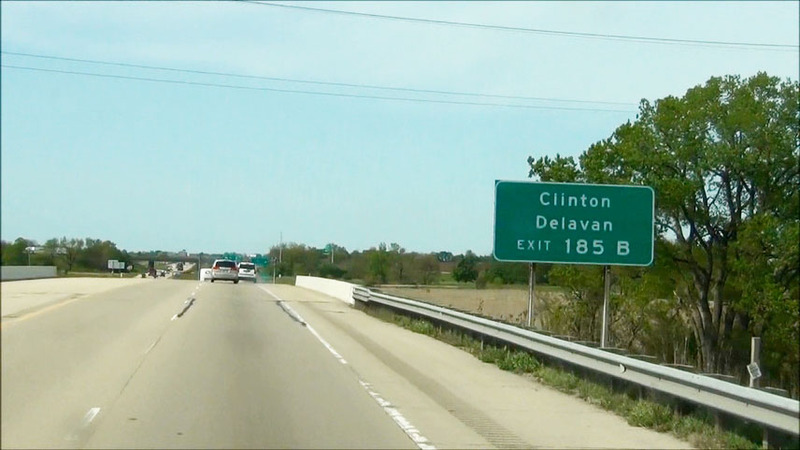 Take Exit 185B to Clinton and Delavan. (Photo taken 5/2/12). 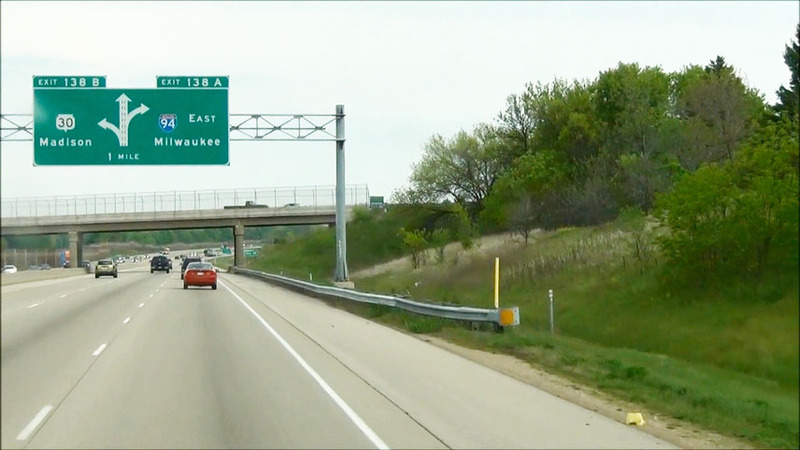 Interstate 90 West / Interstate 39 North at Exit 185B: Interstate 43 North - Milwaukee (Photo taken 5/2/12). 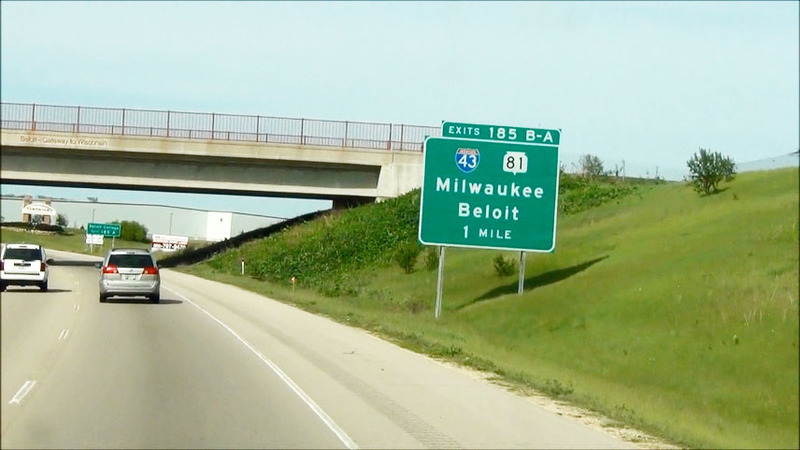 Interstate 90 West / Interstate 39 North at Exit 185A: WI 81 West - Beloit (Photo taken 5/2/12). 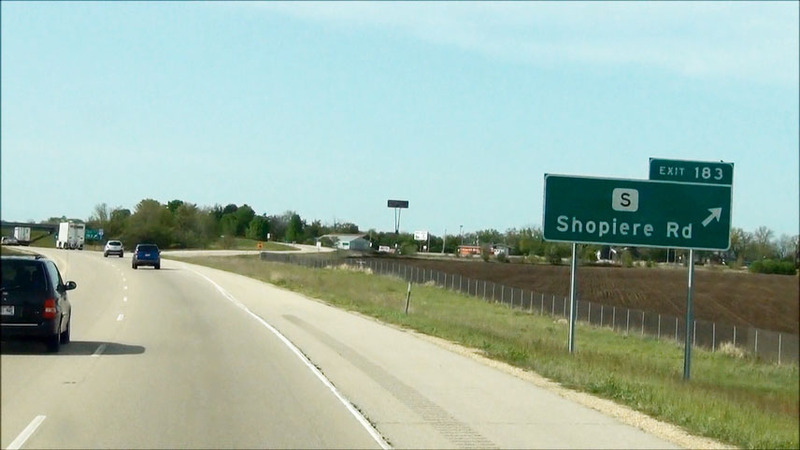 Interstate 90 West / Interstate 39 North shields located near mile marker 184. (Photo taken 5/2/12). Mileage sign located near mile marker 184. 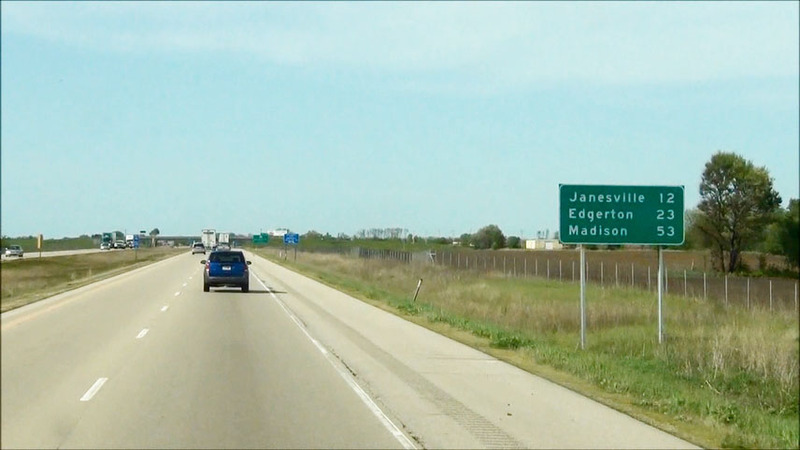 It's 12 miles to Janesville, 23 miles to Edgerton, and 53 miles to Madison. (Photo taken 5/2/12). 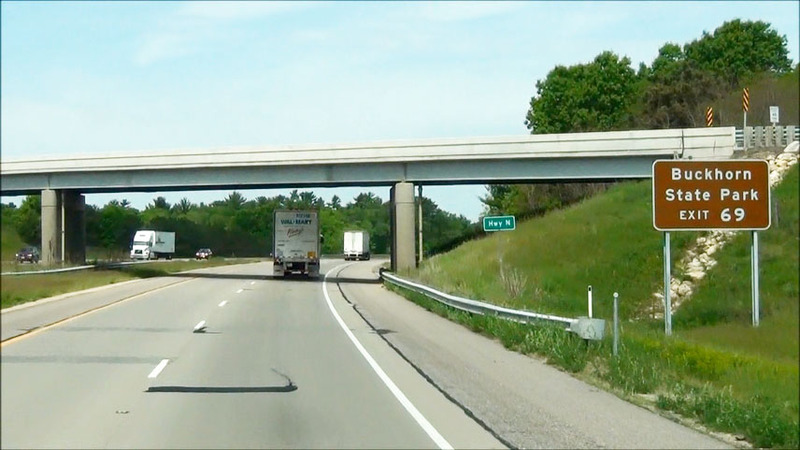 Interstate 90 West / Interstate 39 North at Exit 183: CR S - Shopiere Rd (Photo taken 5/2/12). 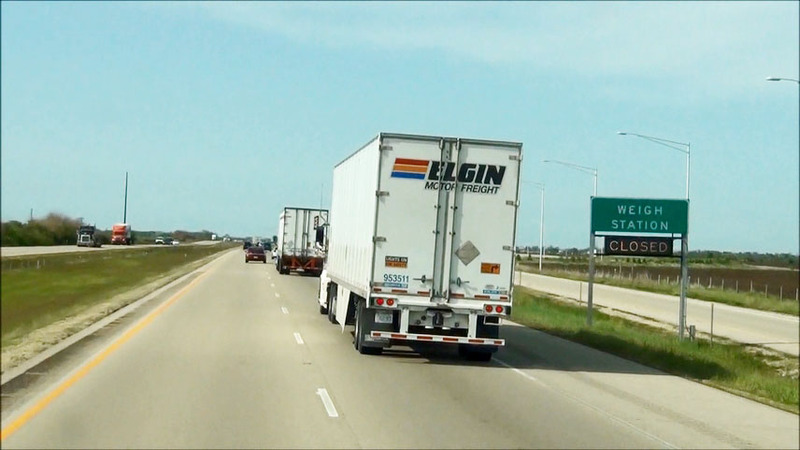 Interstate 90 West / Interstate 39 North at the Weigh Station located at mile marker 181. (Photo taken 5/2/12). 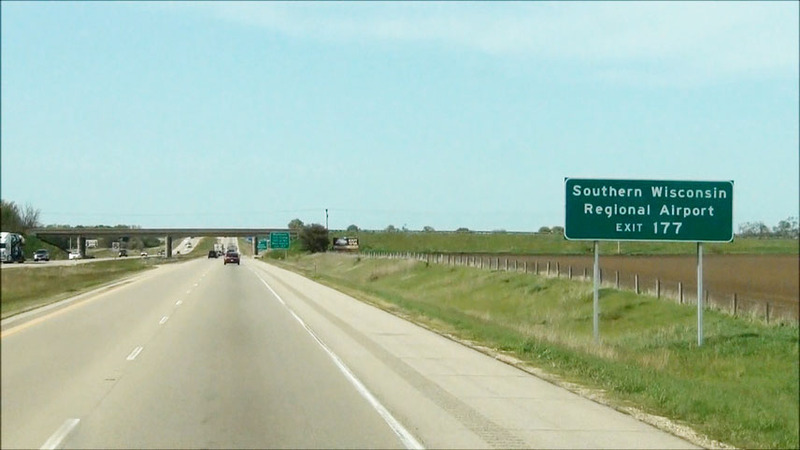 Take Exit 177 to Southern Wisconsin Regional Airport. (Photo taken 5/2/12). 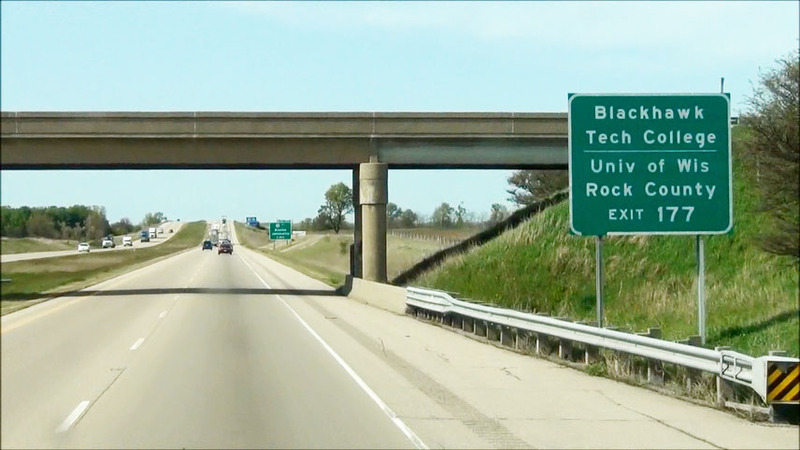 Also take Exit 177 to Blackhawk Tech College and University of Wisconsin at Rock County. (Photo taken 5/2/12). 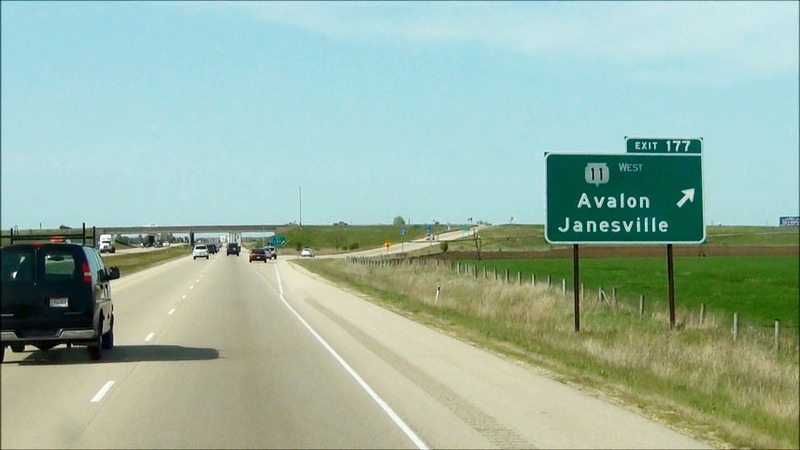 Interstate 90 West / Interstate 39 North at Exit 177: WI 11 West - Avalon / Janesville (Photo taken 5/2/12). 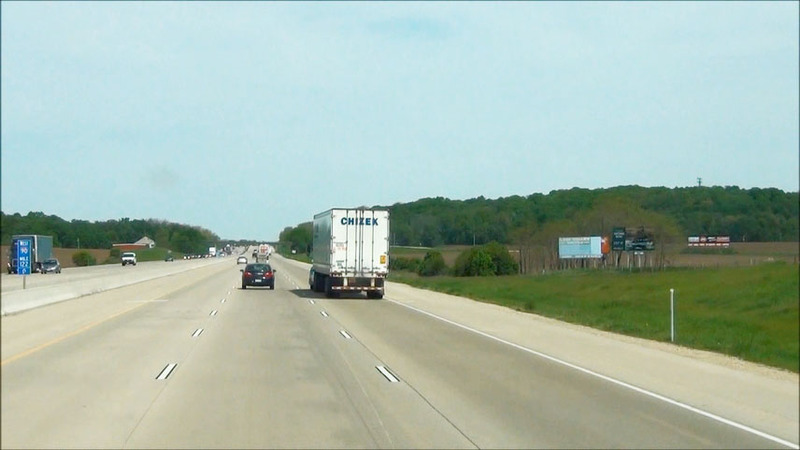 Interstate 90 West / Interstate 39 North at Exit 175B: WI 11 East - Delavan (Photo taken 5/2/12). 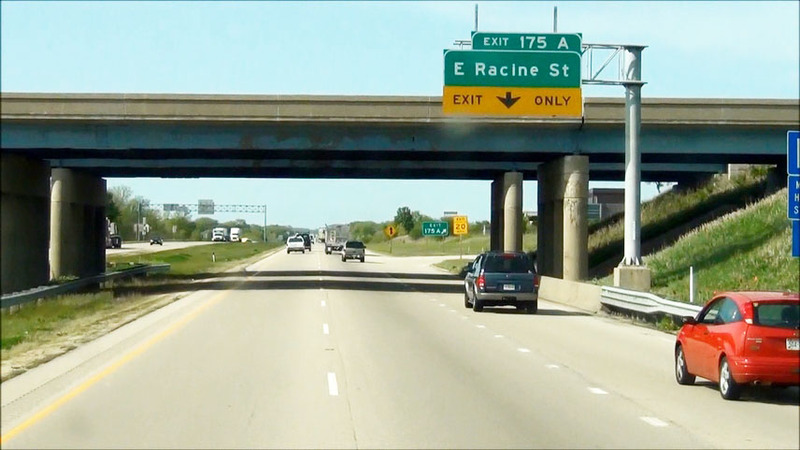 Interstate 90 West / Interstate 39 North at Exit 175A: E Racine St (Photo taken 5/2/12). 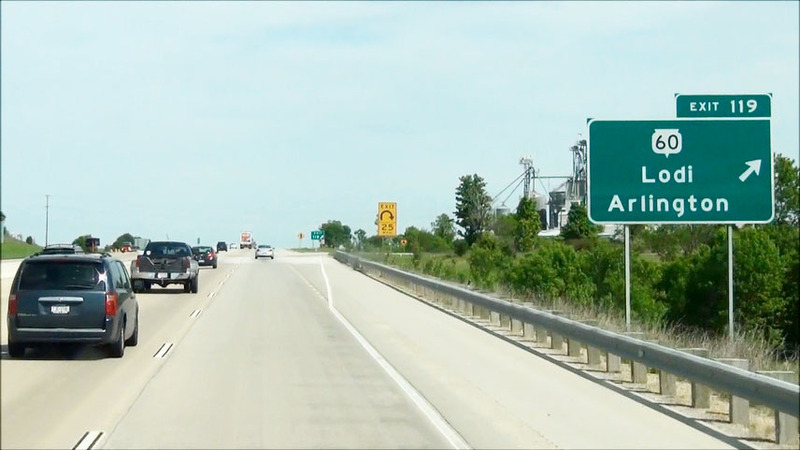 Take Exit 171A to Fort Atkinson. (Photo taken 5/2/12). 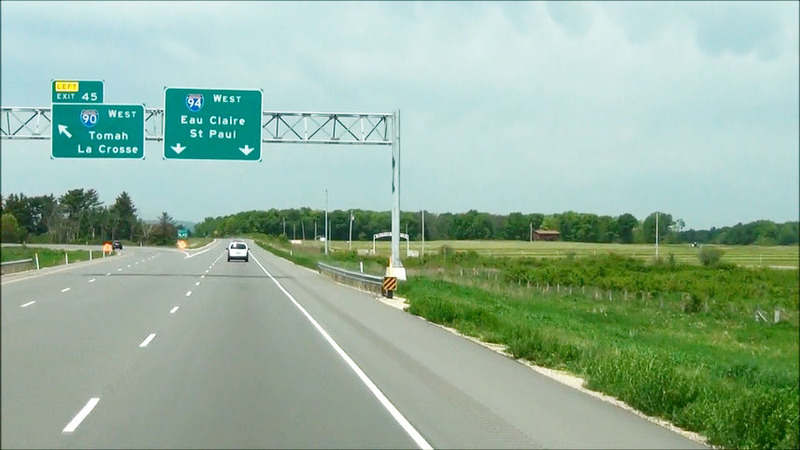 Interstate 90 West / Interstate 39 North at Exit 171C: US 14 East (Photo taken 5/2/12). 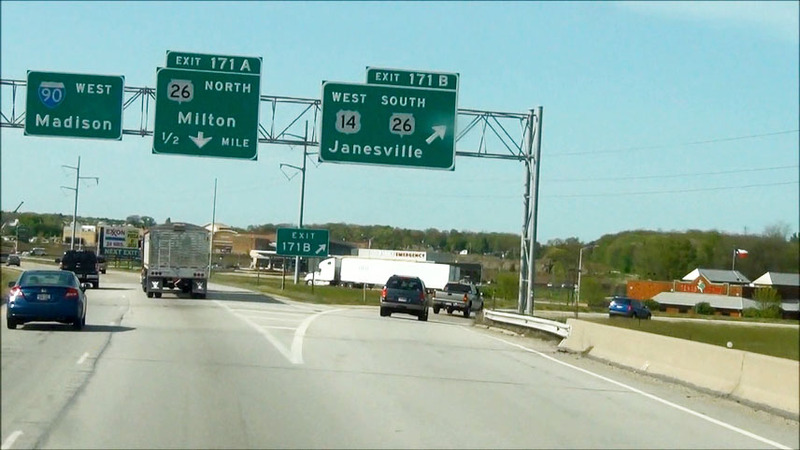 Interstate 90 West / Interstate 39 North at Exit 171B: US 14 West / WI 26 South - Janesville (Photo taken 5/2/12). 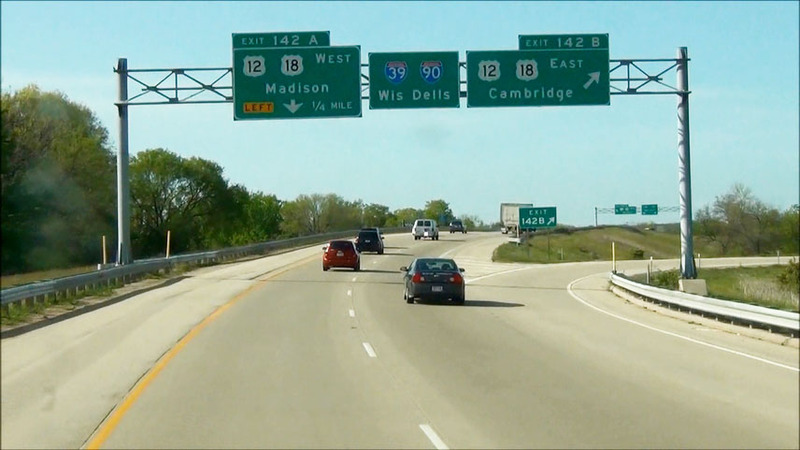 Interstate 90 West / Interstate 39 North at Exit 171A: WI 26 - Milton (Photo taken 5/2/12). 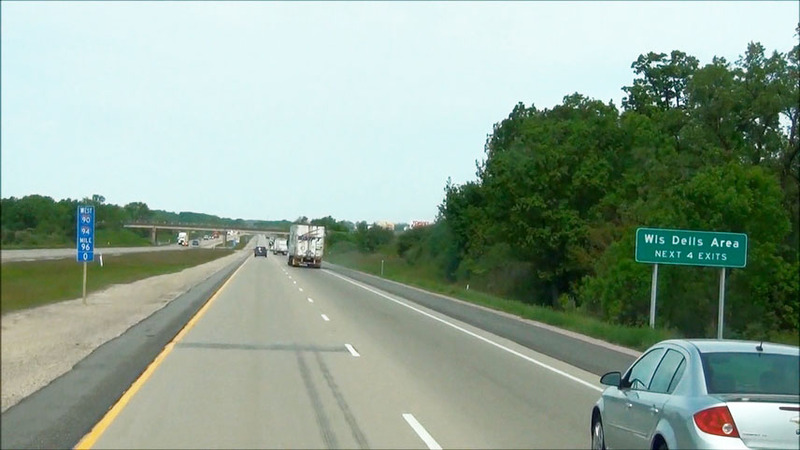 Interstate 90 West / Interstate 39 North: Road view from mile marker 166. (Photo taken 5/2/12). 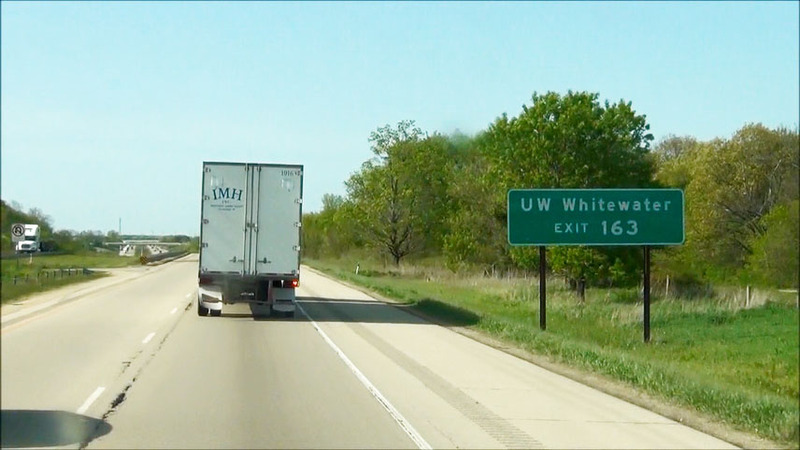 Take Exit 163 to UW Whitewater. (Photo taken 5/2/12). 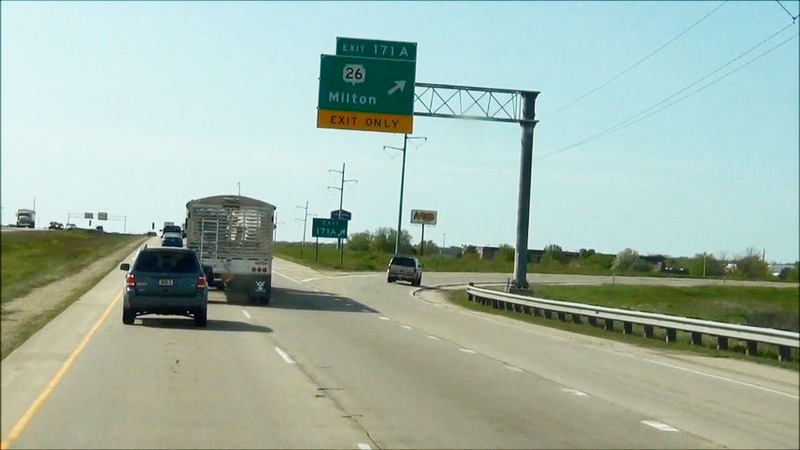 Interstate 90 West / Interstate 39 North at Exit 163: WI 59 - Milton / Edgerton (Photo taken 5/2/12). 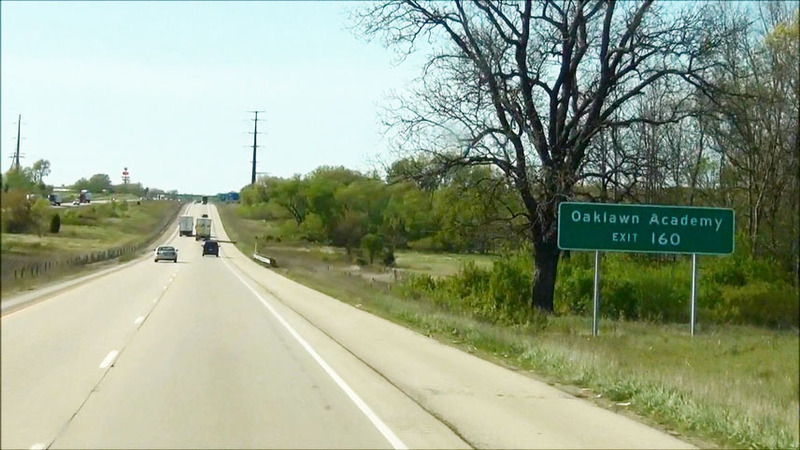 Take Exit 160 to Oaklawn Academy. (Photo taken 5/2/12). 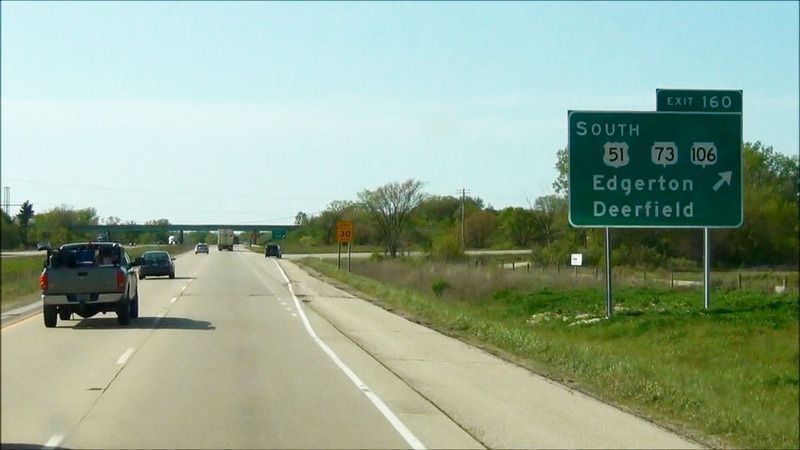 Interstate 90 West / Interstate 39 North at Exit 160: US 51 South / WI 73 / WI 106 - Edgerton / Deerfield (Photo taken 5/2/12). Mileage sign located near mile marker 159.5. It's 10 miles to Stoughton, 28 miles to Madison, and 117 miles to Tomah. (Photo taken 5/2/12). 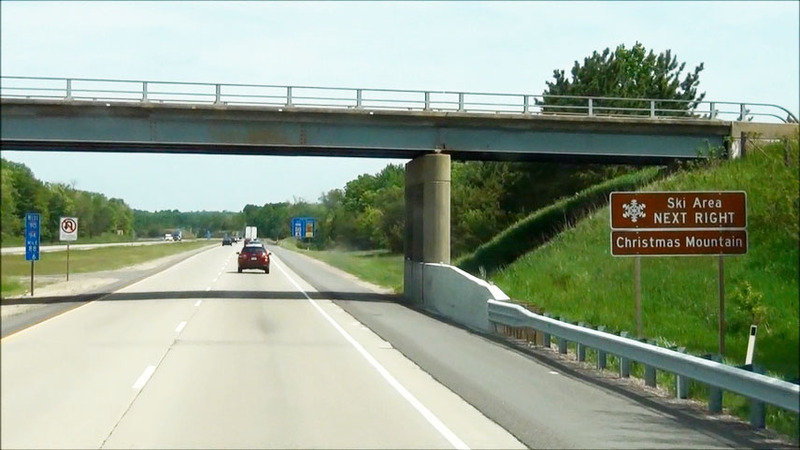 Interstate 90 West / Interstate 39 North at Exit 156: US 51 North - Stoughton (Photo taken 5/2/12). 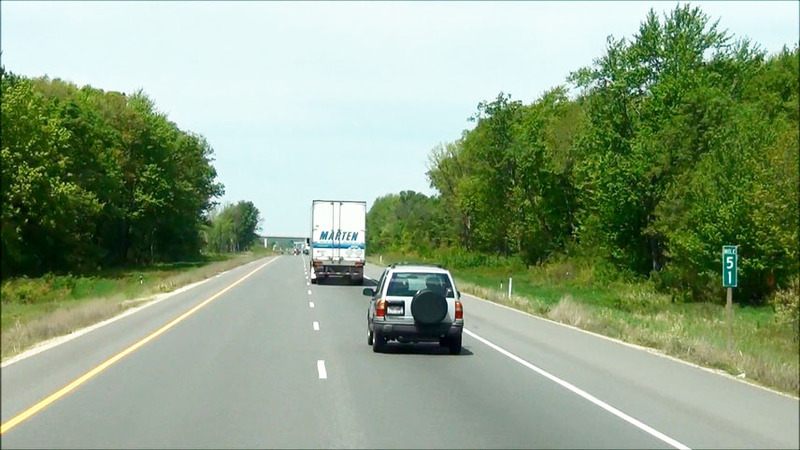 Interstate 90 West / Interstate 39 North: Road view from mile marker 151. (Photo taken 5/2/12). 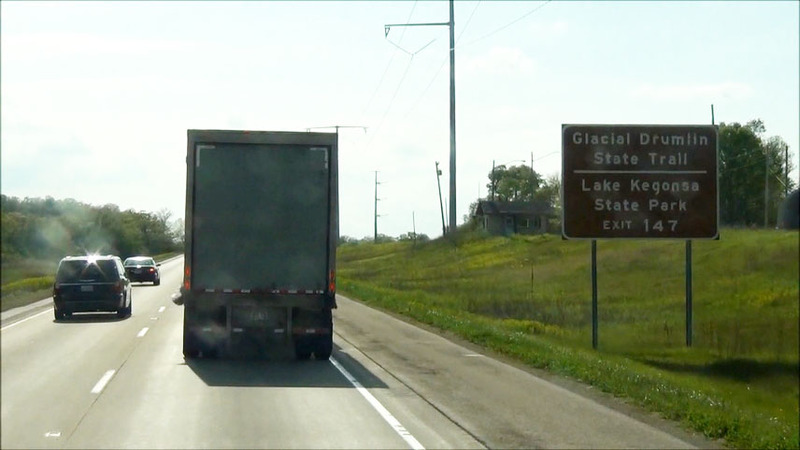 Take Exit 147 to Glacial Drumlin State Trail and Lake Kegonsa State Park. (Photo taken 5/2/12). 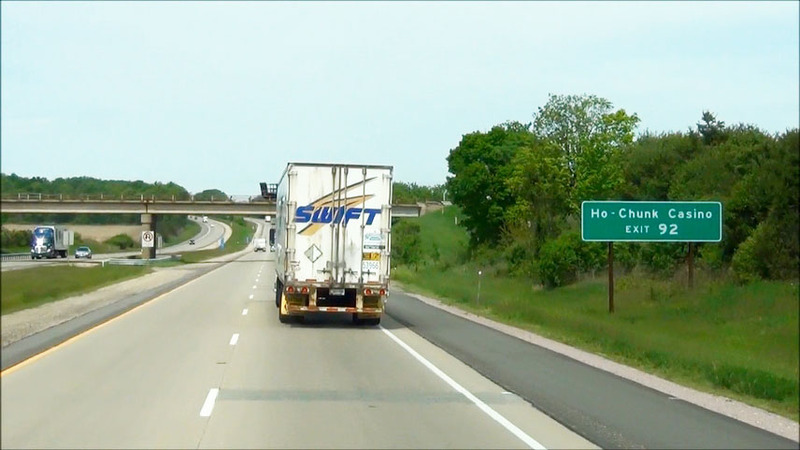 Interstate 90 West / Interstate 39 North at Exit 147: CR N - Stoughton / Cottage Grove (Photo taken 5/2/12). 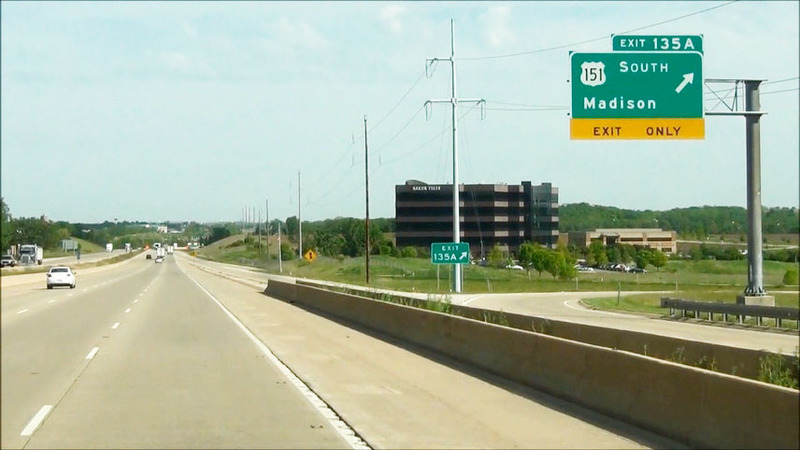 Take Exit 142A to University of Wisconsin at Madison. (Photo taken 5/2/12). Interstate 90 West / Interstate 39 North at Exit 142B: US 12 / US 18 East - Cambridge (Photo taken 5/2/12). 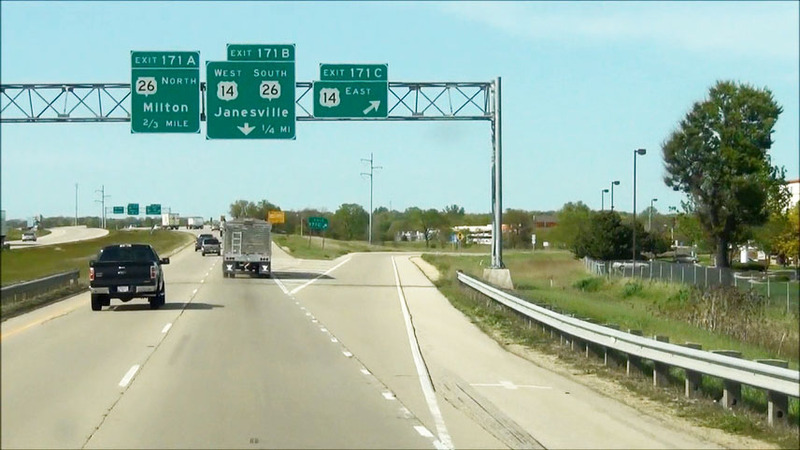 Interstate 90 West / Interstate 39 North at Exit 142A: US 12 / US 18 West - Madison (Photo taken 5/2/12). Interstate 90 West / Interstate 39 North approaching Exit 138A - 1 mile. (Photo taken 5/3/12). 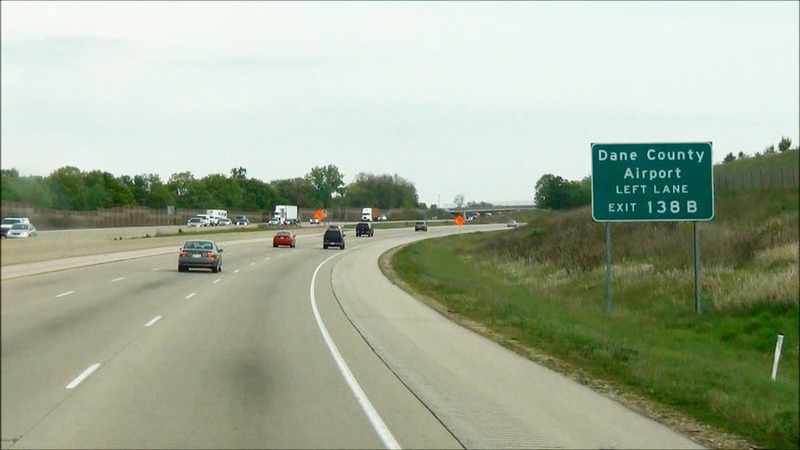 Take Exit 138B to Dane County Airport. (Photo taken 5/3/12). 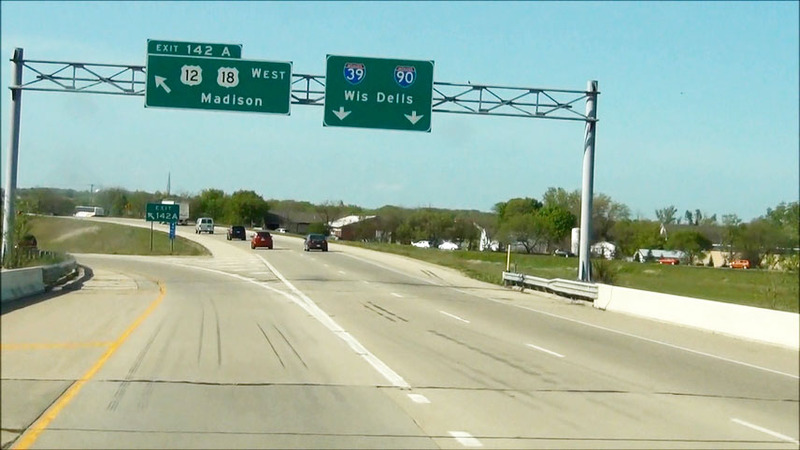 Interstate 90 West / Interstate 39 North at Exit 138B: WI 30 - Madison (Photo taken 5/3/12). 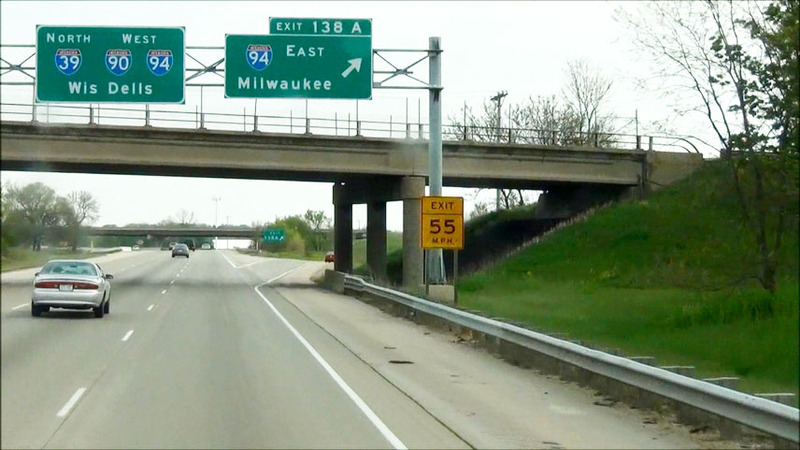 Interstate 90 West / Interstate 39 North at Exit 138A: Interstate 94 East - Milwaukee (Photo taken 5/3/12). 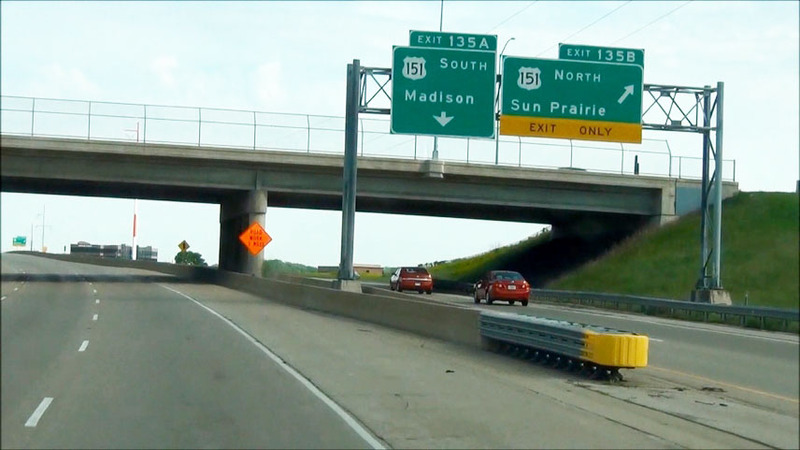 Interstate 90 West / Interstate 94 West / Interstate 39 North at Exits 135C-B-A: US 151 - Madison / Sun Prairie (Photo taken 5/3/12). 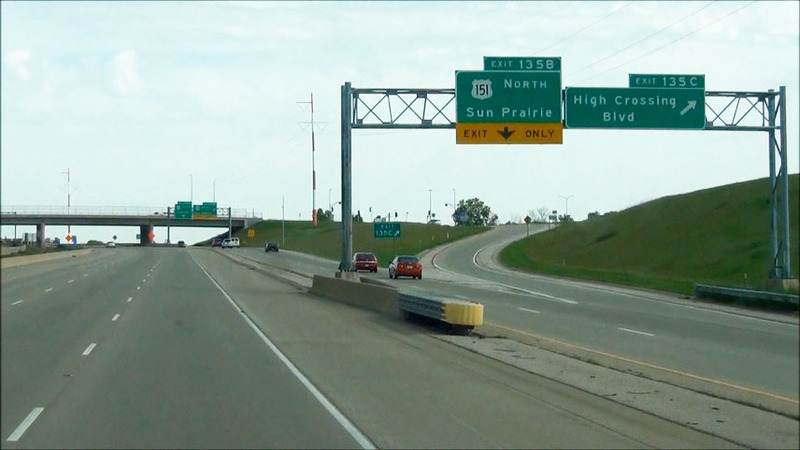 Interstate 90 West / Interstate 94 West / Interstate 39 North at Exit 135C: High Crossing Blvd (Photo taken 5/3/12). 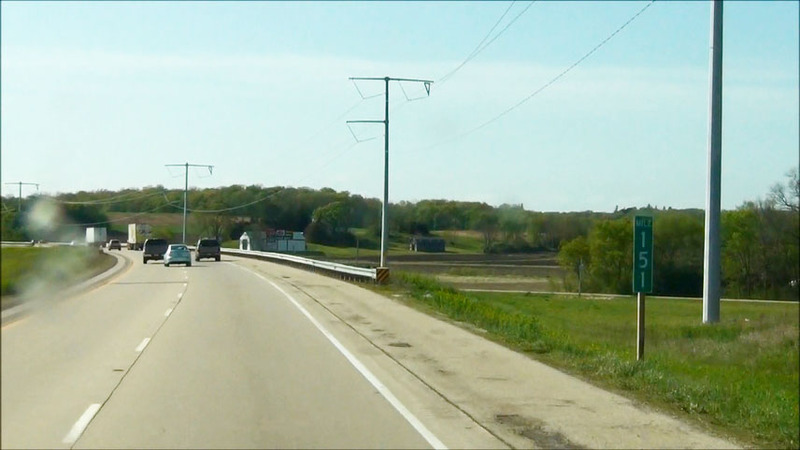 Interstate 90 West / Interstate 94 West / Interstate 39 North at Exit 135B: US 151 North - Sun Prairie (Photo taken 5/3/12). 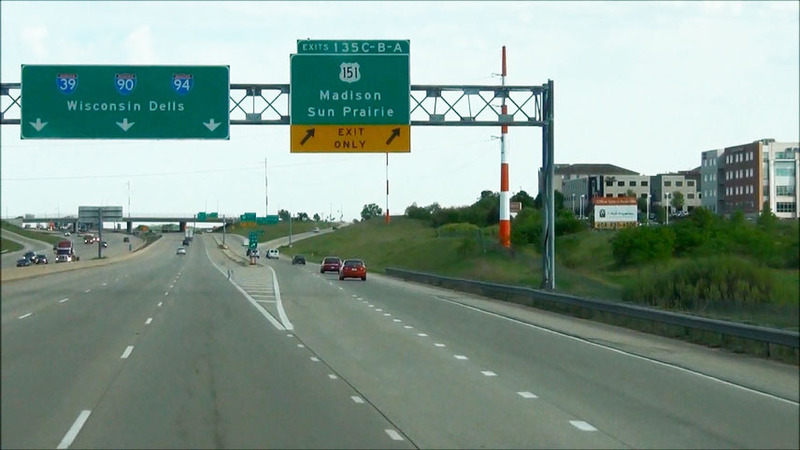 Interstate 90 West / Interstate 94 West / Interstate 39 North at Exit 135A: US 151 South - Madison (Photo taken 5/3/12). 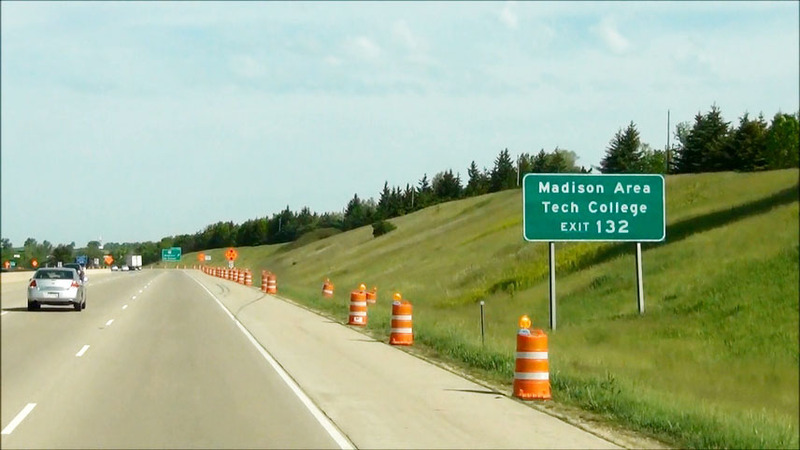 Take Exit 132 to Madison Area Tech College. (Photo taken 5/15/12). 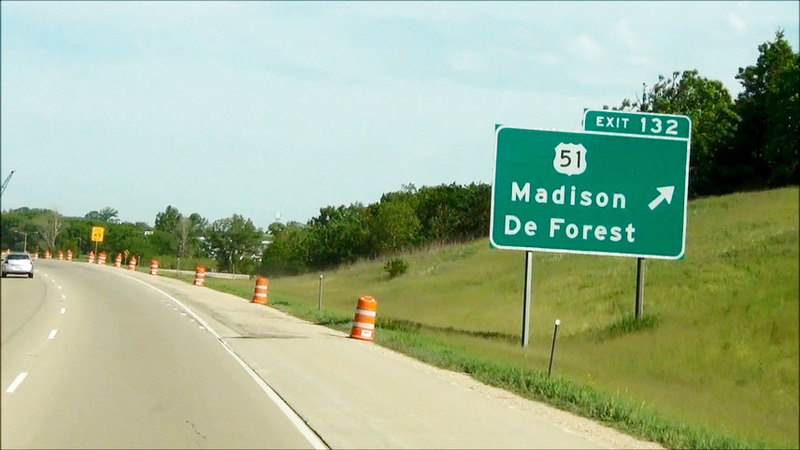 Interstate 90 West / Interstate 94 West / Interstate 39 North at Exit 132: US 51 - Madison / DeForest (Photo taken 5/15/12). 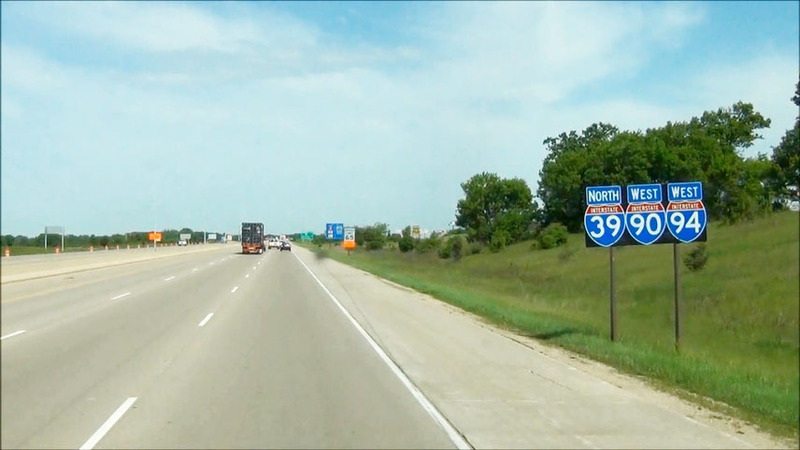 Interstate 90 West / Interstate 94 West / Interstate 39 North shields located near mile marker 132. (Photo taken 5/15/12). 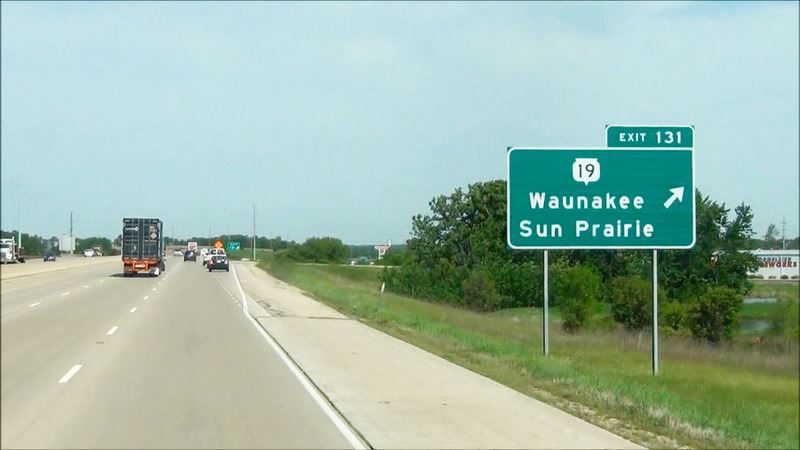 Interstate 90 West / Interstate 94 West / Interstate 39 North at Exit 131: WI 19 - Waunakee / Sun Prairie (Photo taken 5/15/12). 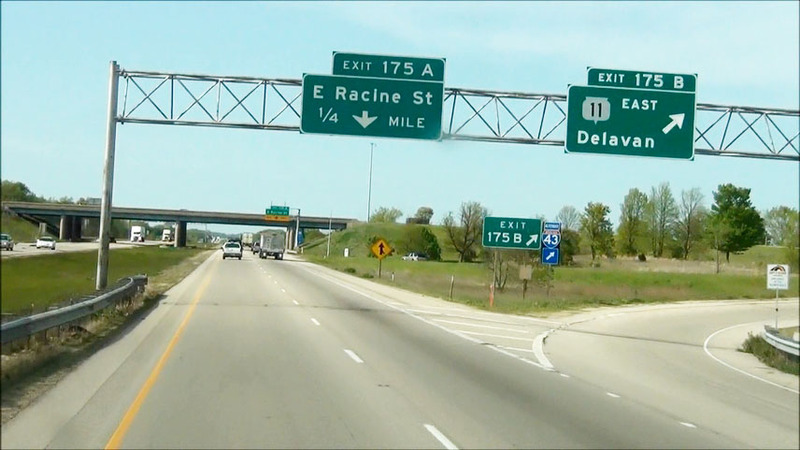 Interstate 90 West / Interstate 94 West / Interstate 39 North at Exit 126: CR V - Dane / DeForest (Photo taken 5/15/12). 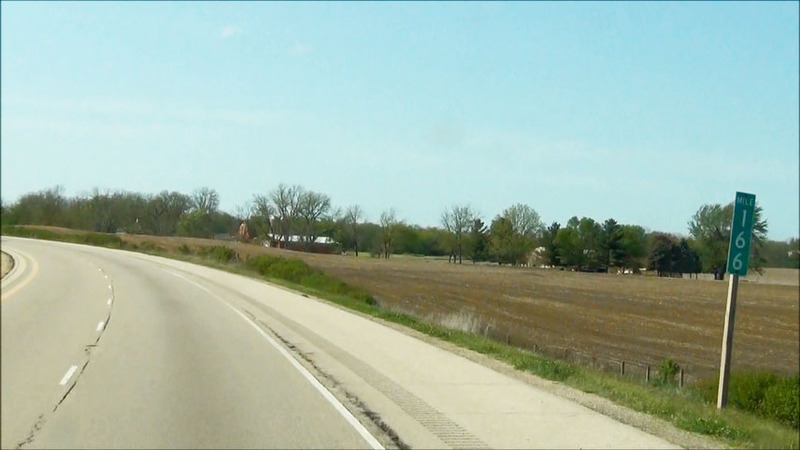 Interstate 90 West / Interstate 94 West / Interstate 39 North: Road view from mile marker 122. (Photo taken 5/15/12). 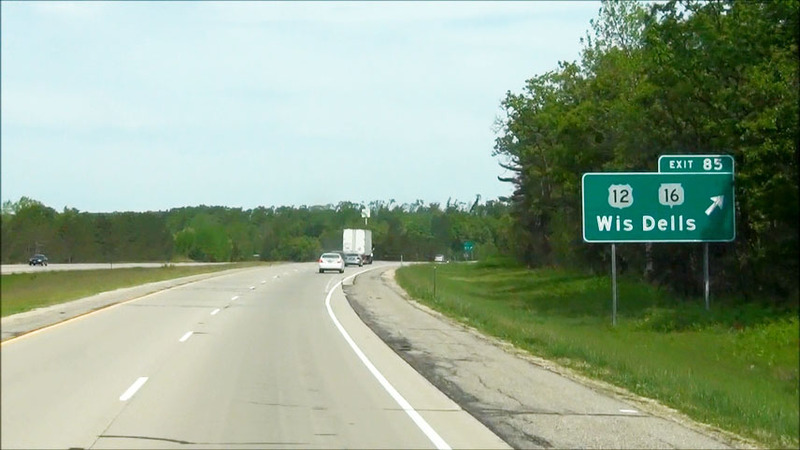 Interstate 90 West / Interstate 94 West / Interstate 39 North at Exit 119: WI 60 - Lodi / Arlington (Photo taken 5/15/12). 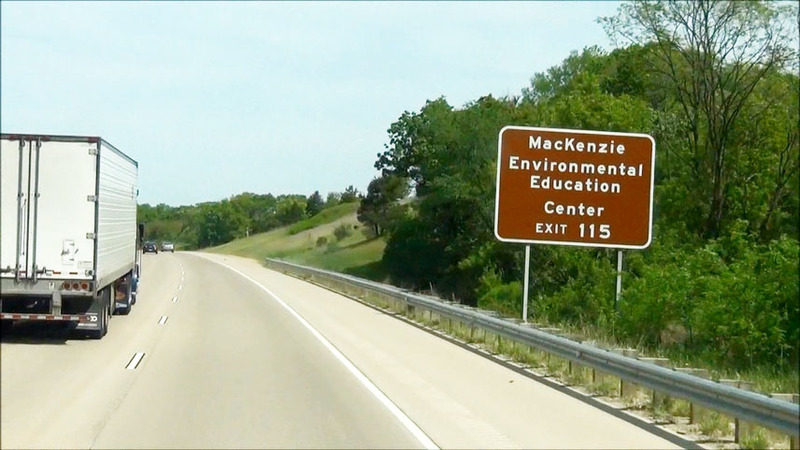 Take Exit 115 to MacKenzie Environmental Education Center. (Photo taken 5/15/12). 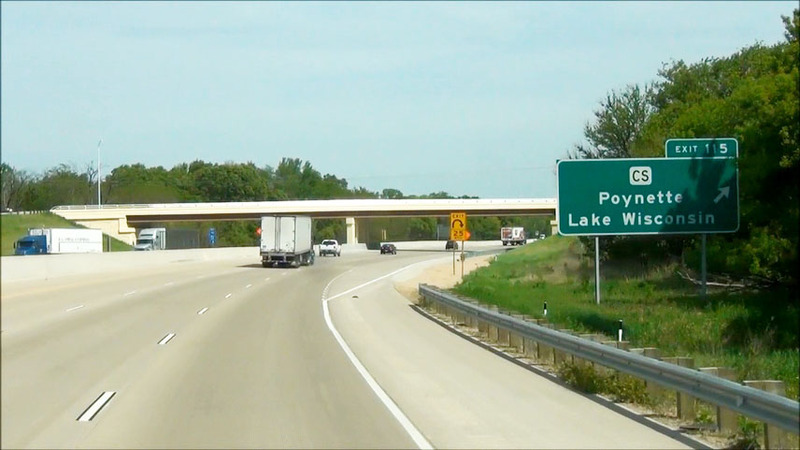 Interstate 90 West / Interstate 94 West / Interstate 39 North at Exit 115: CR CS - Poynette / Lake Wisconsin (Photo taken 5/15/12). 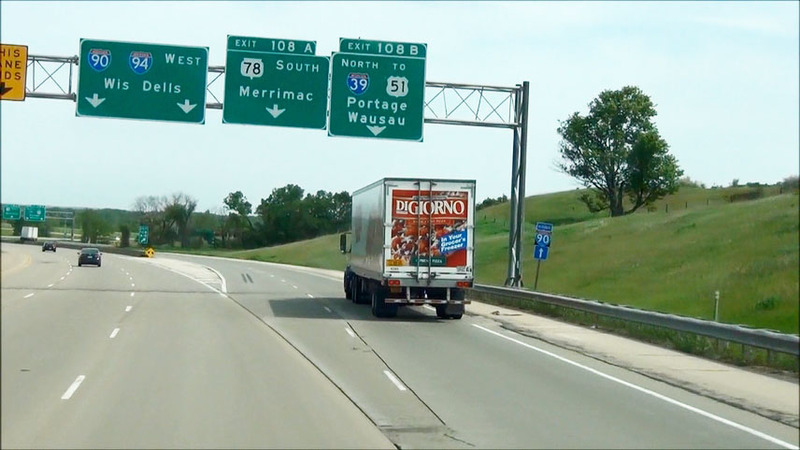 Take Exit 108B to Portage and Stevens Point. (Photo taken 5/15/12). 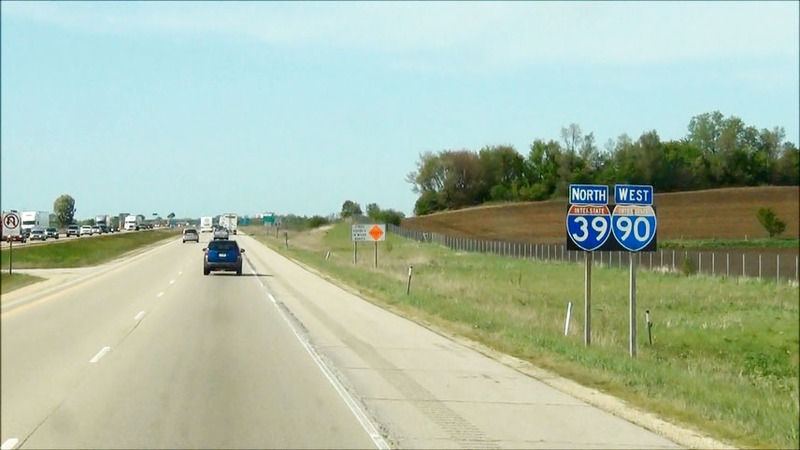 Interstate 90 West / Interstate 94 West / Interstate 39 North approaching Exits 108B-A - 1 mile. (Photo taken 5/15/12). 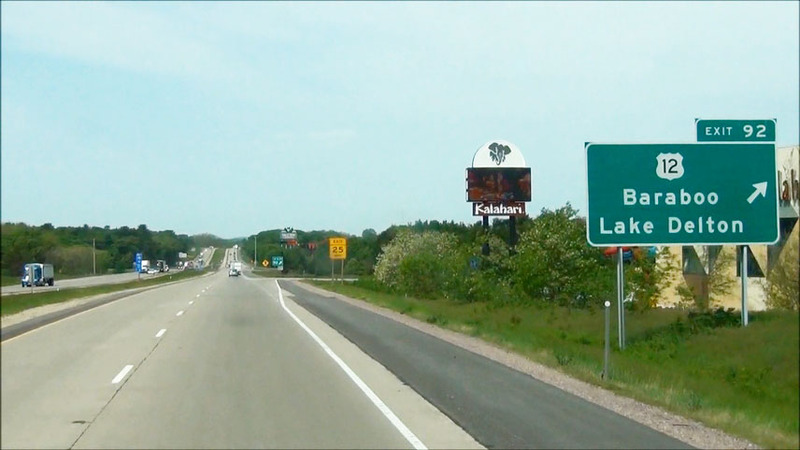 Interstate 90 West / Interstate 94 West / Interstate 39 North at Exit 108B: Interstate 39 North / To US 51 - Portage / Wausau; Exit 108A: WI 78 South - Merrimac (Photo taken 5/15/12). 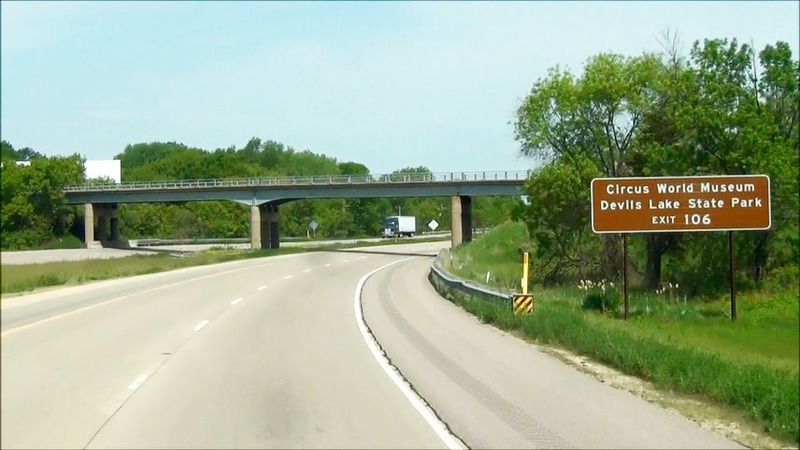 Take Exit 106 to Circus World Museum and Devils Lake State Park. (Photo taken 5/15/12). Also take Exit 106 to Cascade Mountain Ski Area. (Photo taken 5/15/12). 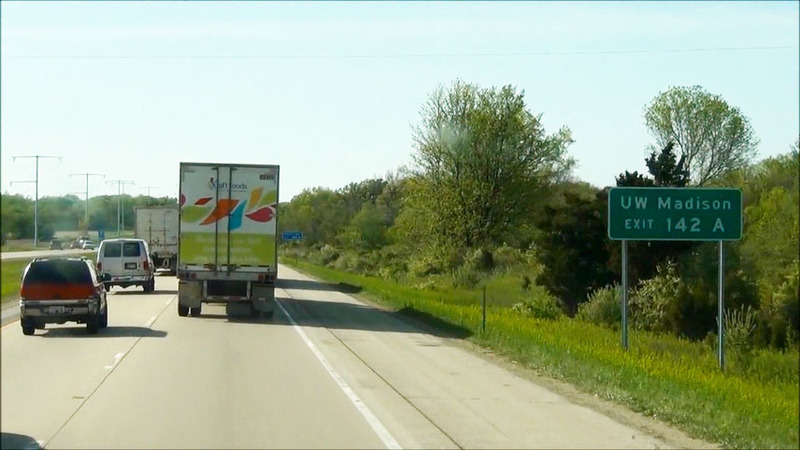 Interstate 90 West / Interstate 94 West at Exit 106: WI 33 - Portage / Baraboo (Photo taken 5/15/12). 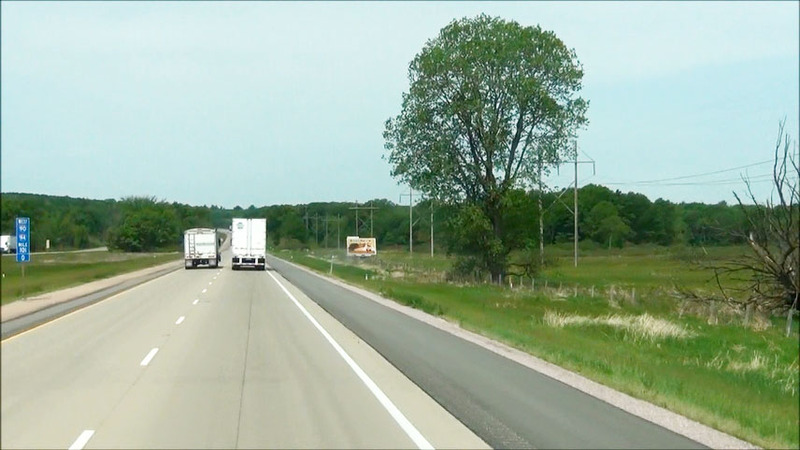 Interstate 90 West / Interstate 94 West: Road view from mile marker 101. (Photo taken 5/15/12). 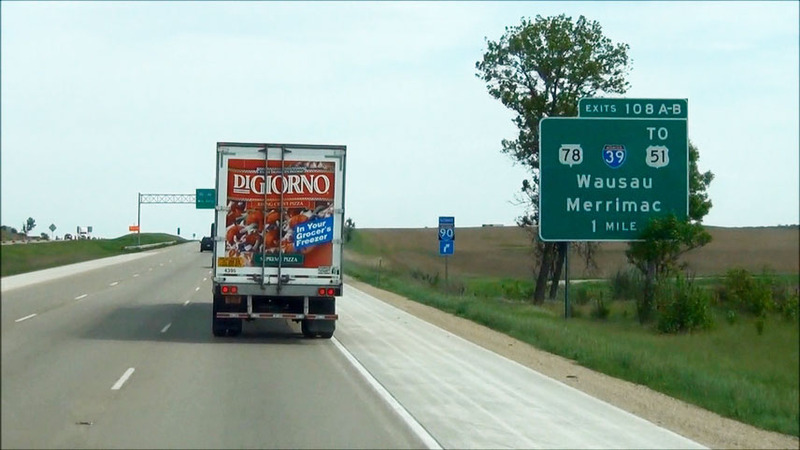 Take any of the next 4 exits to the Wisconsin Dells Area. (Photo taken 5/15/12). 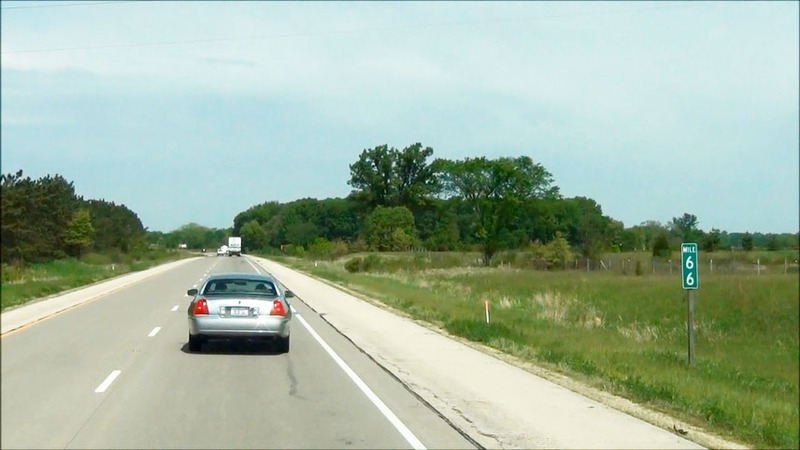 Interstate 90 West / Interstate 94 West: Road view from mile marker 95. (Photo taken 5/15/12). 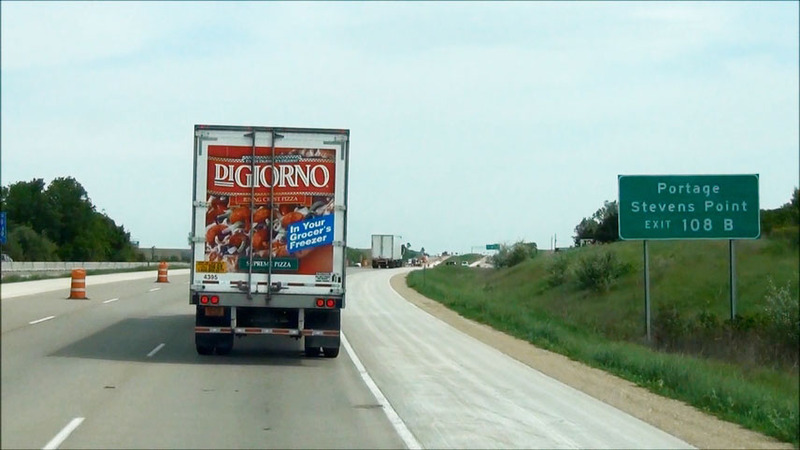 Take Exit 92 to Ho-Chunk Casino. (Photo taken 5/15/12). 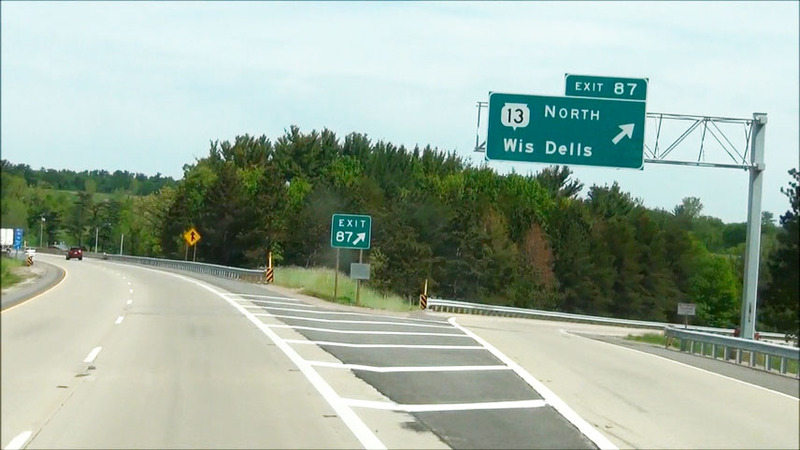 Also take Exit 92 to Wisconsin Dells Parkway. (Photo taken 5/15/12). 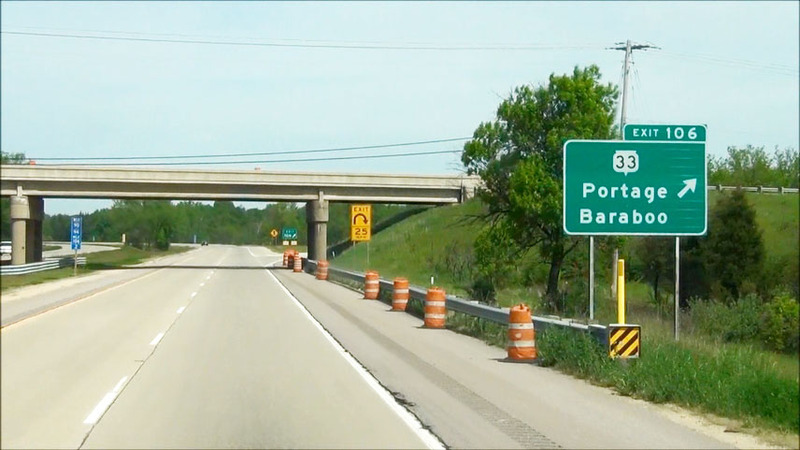 Interstate 90 West / Interstate 94 West at Exit 92: US 12 - Baraboo / Lake Delton (Photo taken 5/15/12). 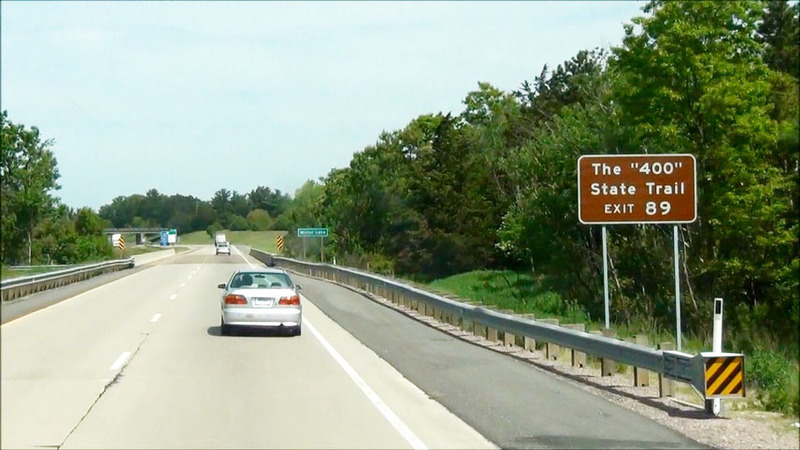 Take Exit 89 to The "400" State Trail. (Photo taken 5/15/12). 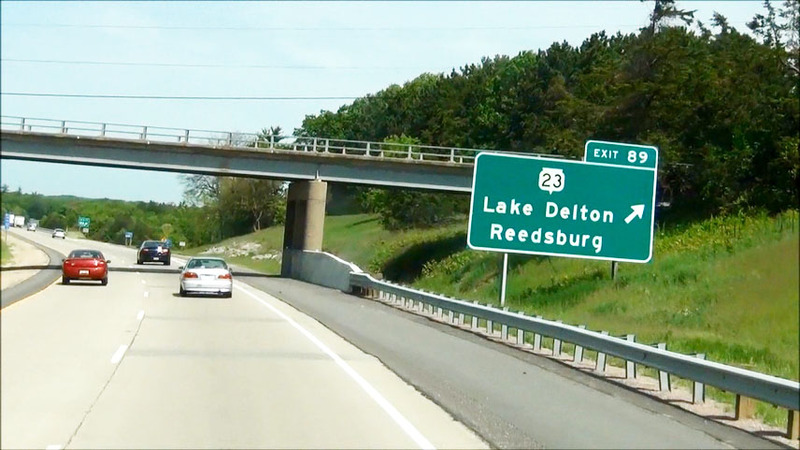 Interstate 90 West / Interstate 94 West at Exit 89: WI 23 - Lake Delton / Reedsburg (Photo taken 5/15/12). Take the next exit (Exit 87) to Christmas Mountain Ski Area. (Photo taken 5/15/12). 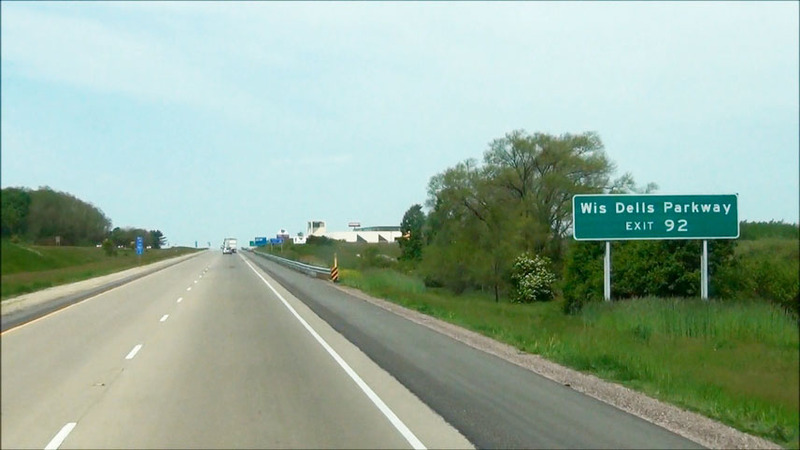 Interstate 90 West / Interstate 94 West at Exit 87: WI 13 North - Wisconsin Dells (Photo taken 5/15/12). 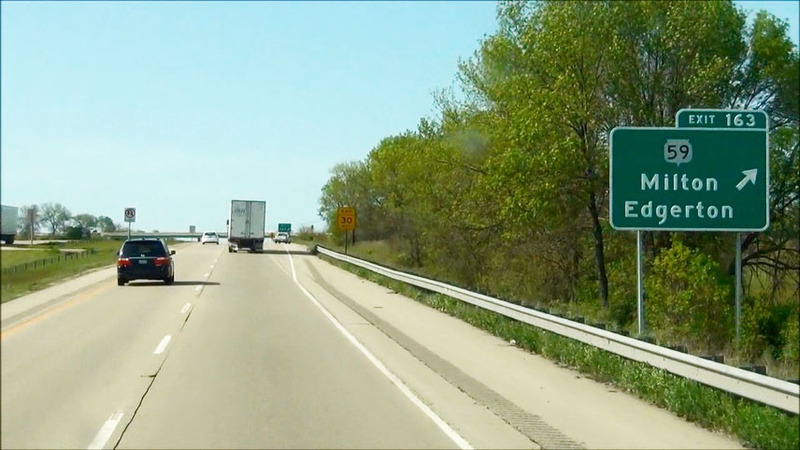 Take Exit 85 to Rocky Arbor State Park. (Photo taken 5/15/12). 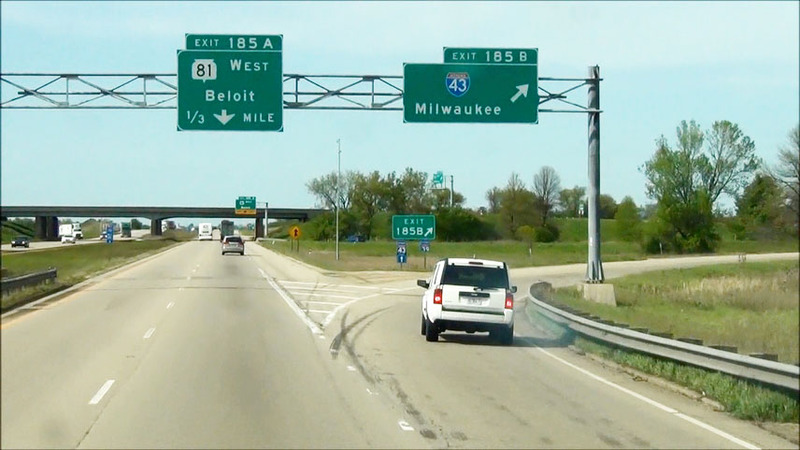 Interstate 90 West / Interstate 94 West at Exit 85: US 12 / WI 16 - Wisconsin Dells (Photo taken 5/15/12). 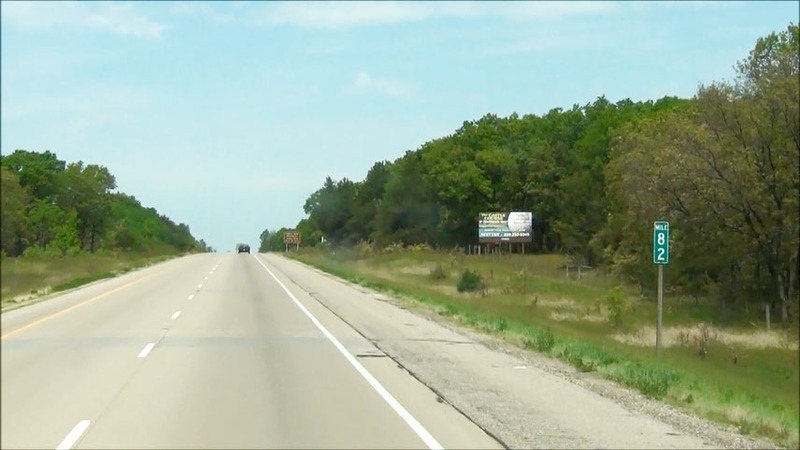 Interstate 90 West / Interstate 94 West: Road view from mile marker 82. (Photo taken 5/15/12). 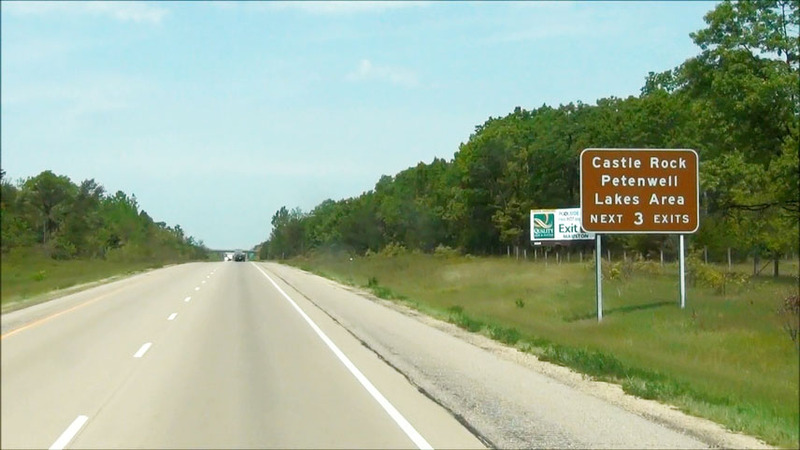 Take any of the next 3 exits to the Castle Rock / Petenwell Lakes Area. (Photo taken 5/15/12). 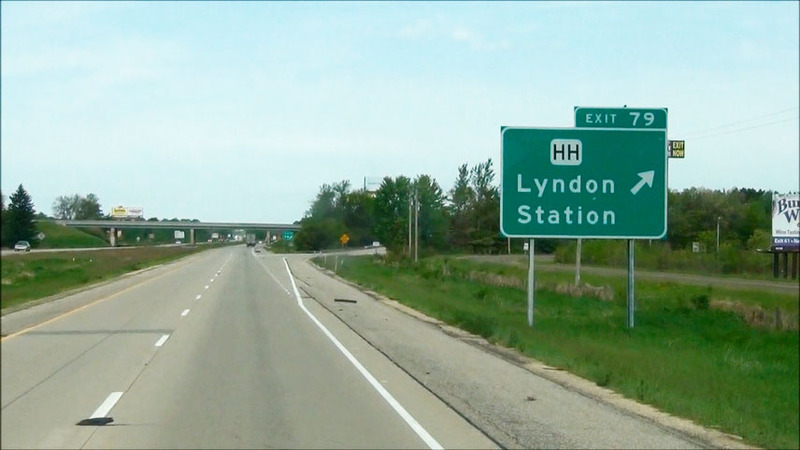 Interstate 90 West / Interstate 94 West at Exit 79: CR HH - Lyndon Station (Photo taken 5/15/12). 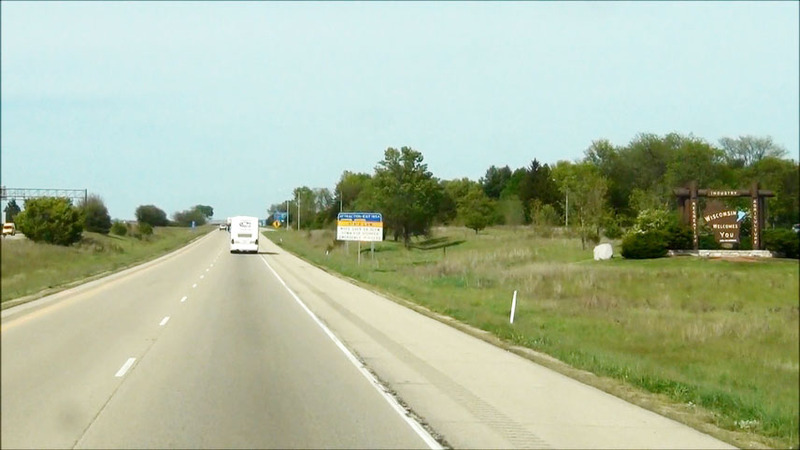 Interstate 90 West / Interstate 94 West: Road view from mile marker 74. (Photo taken 5/15/12). 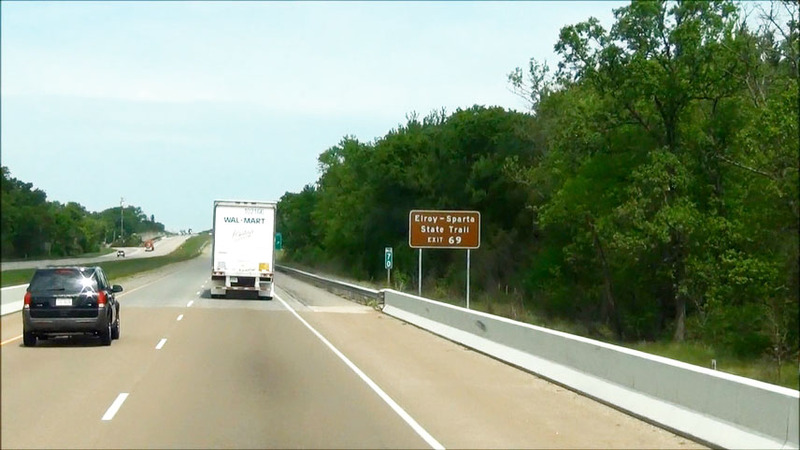 Take Exit 69 to Buckhorn State Park. (Photo taken 5/15/12). 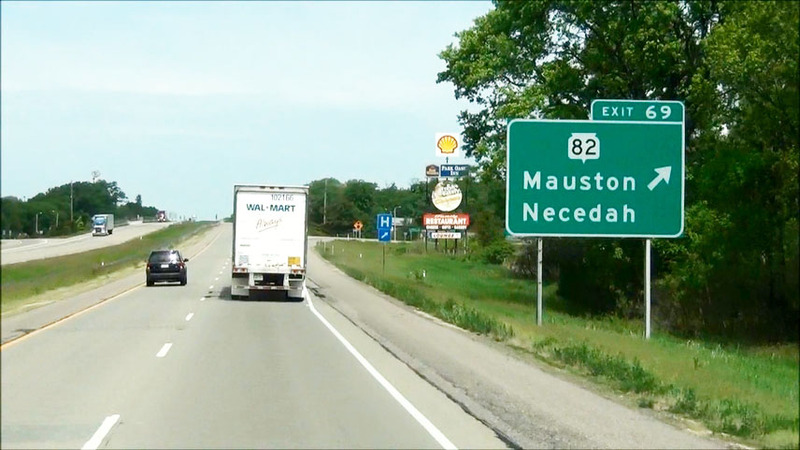 Also take Exit 69 to Western Technical College Mauston Campus. (Photo taken 5/15/12). 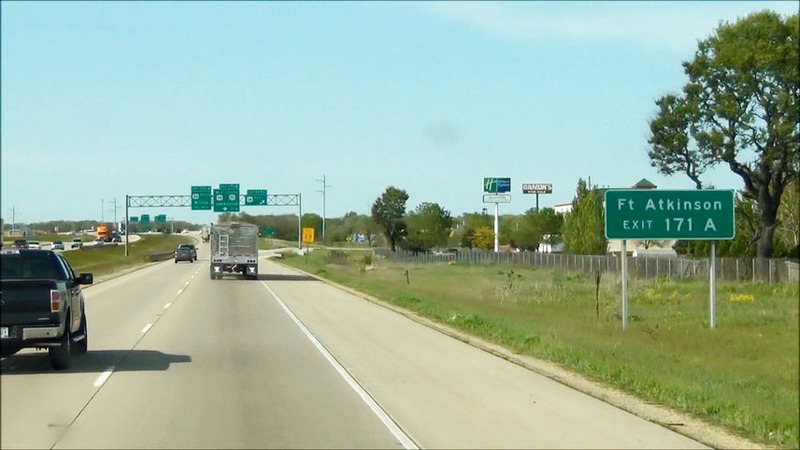 Take Exit 69 to Elroy-Sparta State Trail as well. (Photo taken 5/15/12). 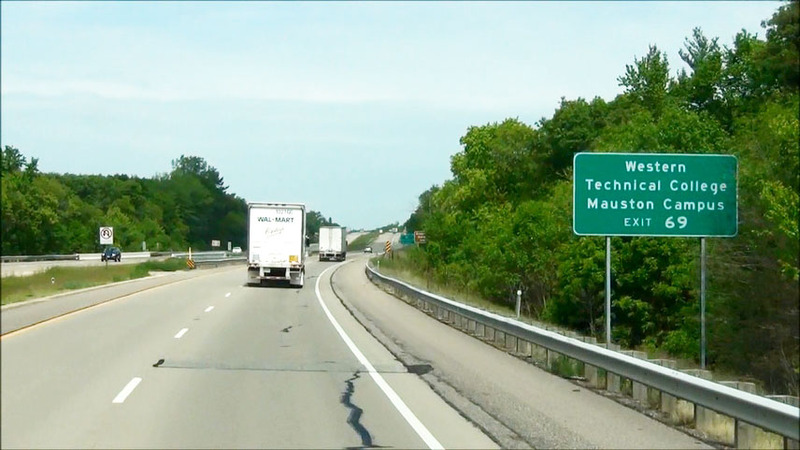 Interstate 90 West / Interstate 94 West at Exit 69: WI 82 - Mauston / Necedah (Photo taken 5/15/12). 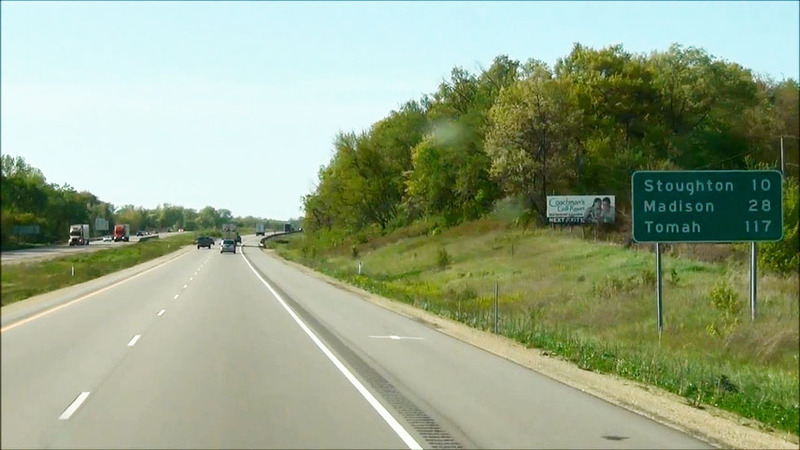 Interstate 90 West / Interstate 94 West: Road view from mile marker 66. (Photo taken 5/15/12). 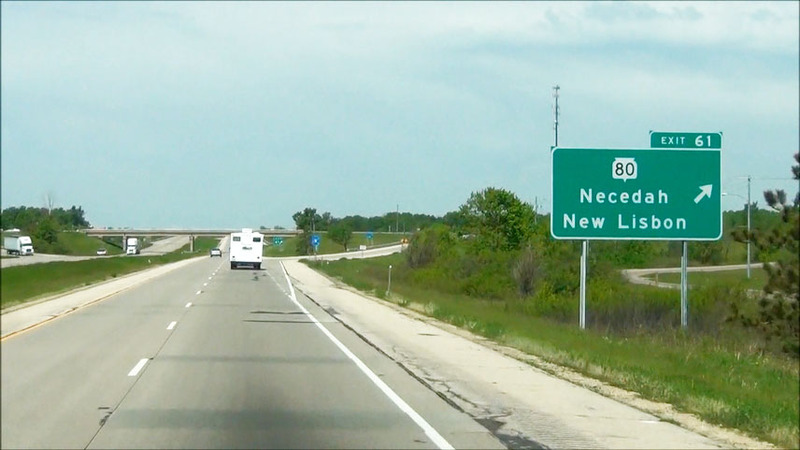 Interstate 90 West / Interstate 94 West at Exit 61: WI 80 - Necedah / New Lisbon (Photo taken 5/15/12). 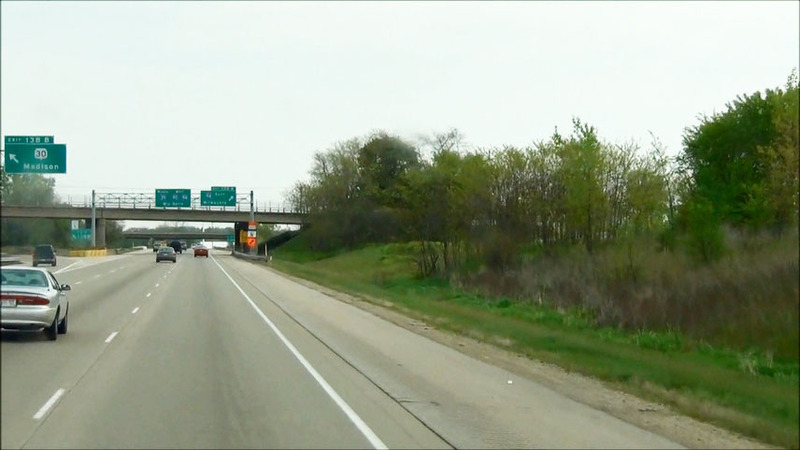 Interstate 90 West / Interstate 94 West: Road view from mile marker 59. (Photo taken 5/15/12). 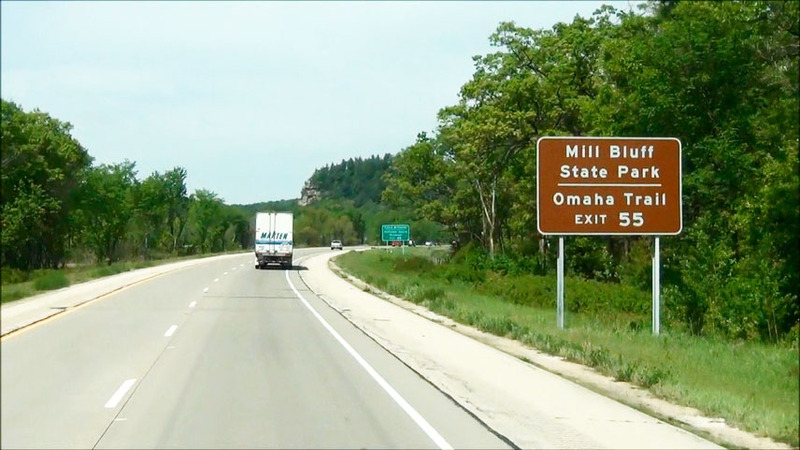 Take Exit 55 to Mill Bluff State Park and Omaha Trail. (Photo taken 5/15/12). Also take Exit 55 to Camp Williams and National Guard Museum. (Photo taken 5/15/12). 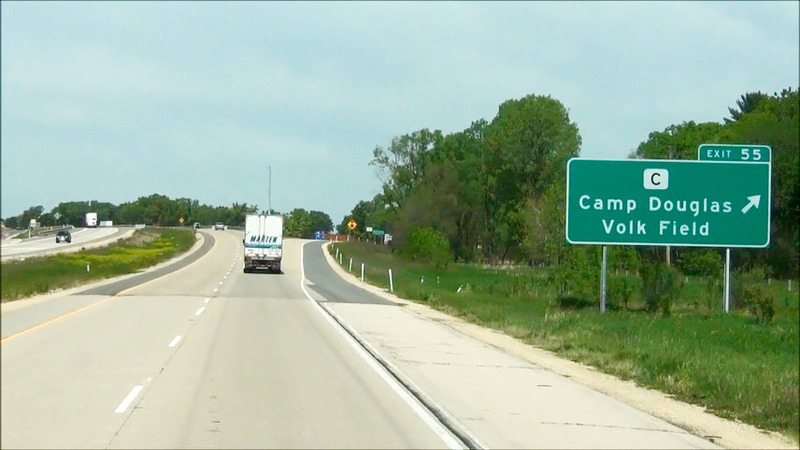 Interstate 90 West / Interstate 94 West at Exit 55: CR C - Camp Douglas / Volk Field (Photo taken 5/15/12). 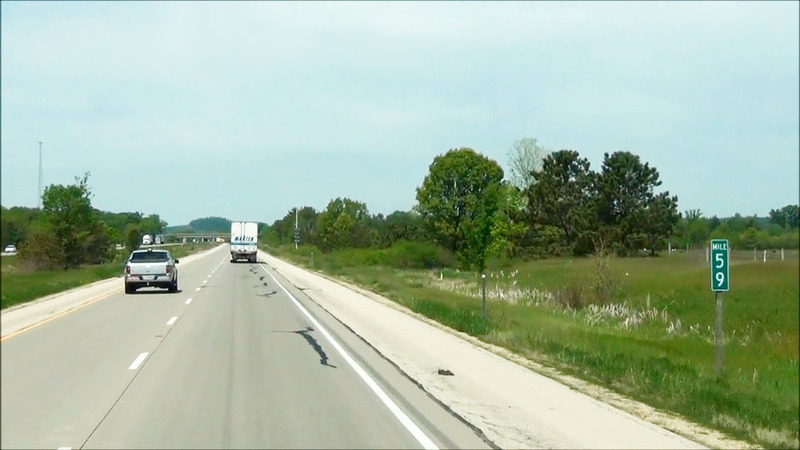 Interstate 90 West / Interstate 94 West: Road view from mile marker 51. (Photo taken 5/15/12). 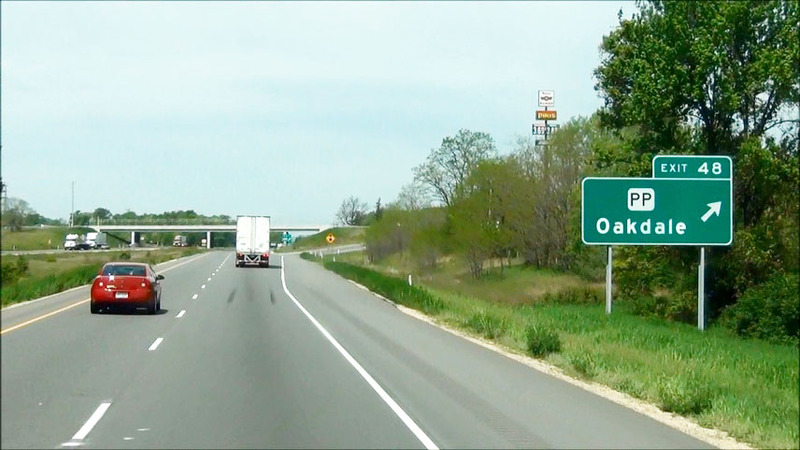 Interstate 90 West / Interstate 94 West at Exit 48: CR PP - Oakdale (Photo taken 5/15/12). 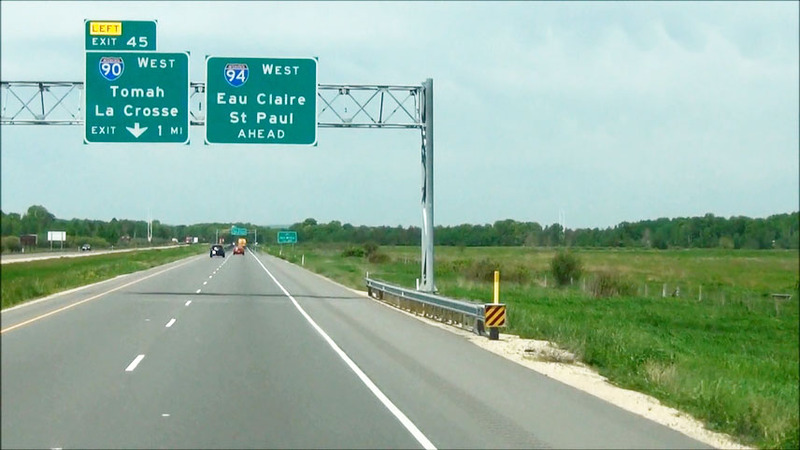 Interstate 90 West / Interstate 94 West approaching Exit 45 - 1 mile. (Photo taken 5/15/12). 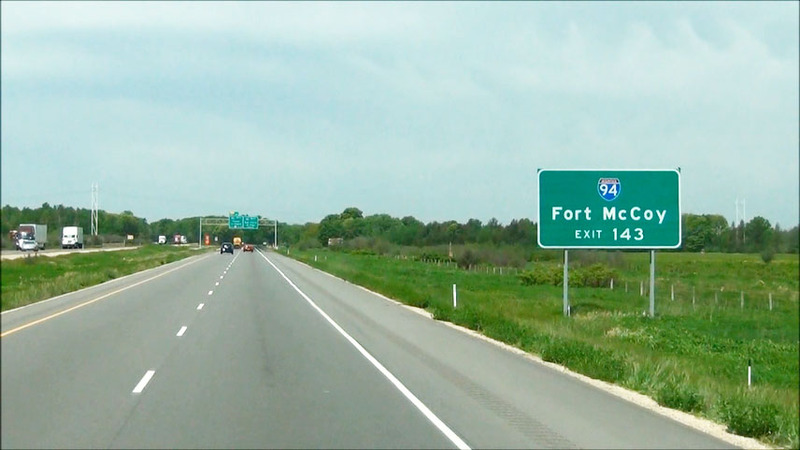 Stay straight ahead onto Interstate 94 West to Exit 143 to Fort McCoy. (Photo taken 5/15/12). 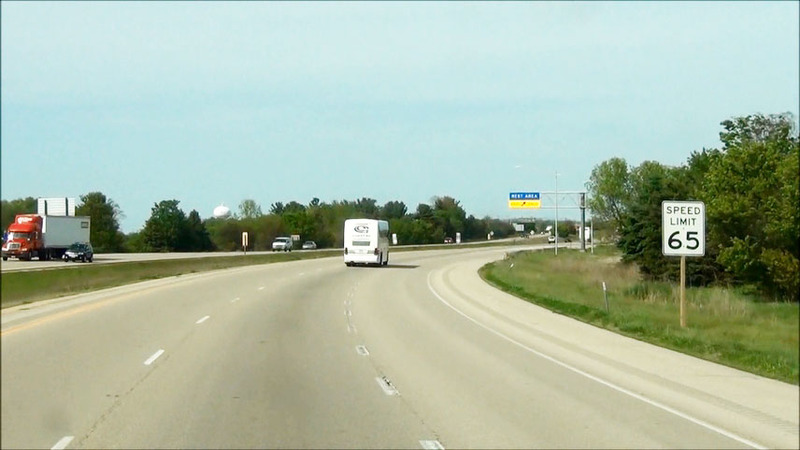 Interstate 90 West / Interstate 94 West at Exit 45: Interstate 90 West - Tomah / LaCrosse (Photo taken 5/15/12).